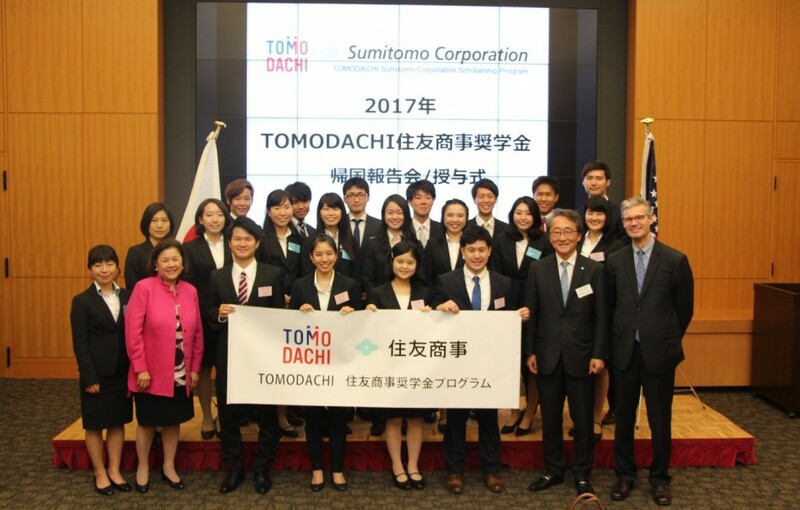 Clink below to download the application materials for the TOMODACHI Sumitomo Corporation Scholarship Program 2018. This scholarship are offered to undergraduate students who will take part in the study abroad programs offered at 12 partner universities including Hokkaido University, Tohoku University, University of Tokyo, Keio University, Waseda University, Chuo University, Nagoya University, Kyoto University, Doshisha University, Osaka University, Kyushu University and University of the Ryukyus. *Please note that all forms are only available in Japanese. Clink here to learn more about the TOMODACHI Sumitomo Corporation Scholarship Program.